Restoration works at the White Tower got underway on the 14th June 2017. Due to the complexity of the works, the restoration project has been divided into several phases. The first phase includes the demolition of illegal structures built around the Tower in the early 1970’s, the uprooting of trees inappropriately planted at the gun platform’s edge and inside the ditch itself and the restoration of the guardroom located in the ditch. The restoration project is headed by the Executive Committee of Din l-Art Helwa. Mr. Joseph Attard is the project architect. 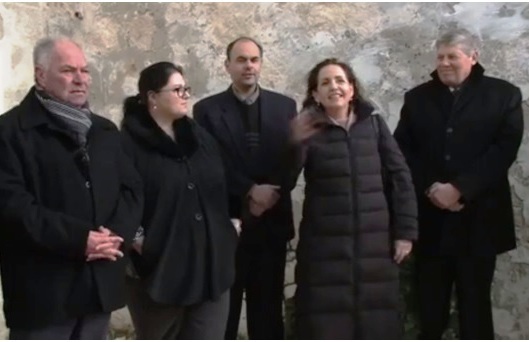 Din l-Art Helwa restoration committee members comprise Executive President Ms. Maria Grazia Cassar, Dr. Stanley Farrugia Randon and Josie Ellul Mercer with Mr. Martin Vella as project manager. HSBC Malta Foundation Lead Sponsor in Torri l-Abjad Restoration Project, progress review.